In blogging years, I sometimes feel like a dinosaur. I’ll occasionally look back at my archives and realize that when I started blogging, Carter was a baby. When I moved from my old space to this one, Lydia was a baby. And I get sucked into reading old post after old post, most of them dreadfully detailed and poorly written. I’ll read something and it won’t seem like that long ago, but I do the math and realize it was 3 or 4 or even 5 years ago. I’ve logged a lot of miles on this crazy internet adventure. Even though I’m pretty embarrassed by that whole post, I want to point out that I told you then he‘d be big. One listen to his golden voice and I just knew it. See? My eyes say it all in this picture taken at a party in Chicago back in 2009. And now? He’s all famous and stuff. No, really! You may recognize him as one of the Warblers on Glee or, more likely, from The Voice. He wowed the entire country with a new and different sound, and I am so excited for all of his recent success. 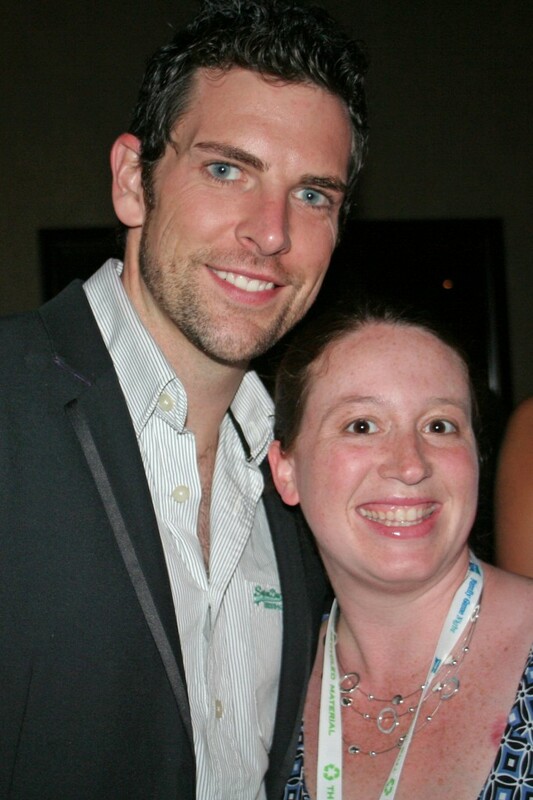 I was thrilled to see Chris face-to-face again this past February at Blissdom in Nashville. The Voice producers were kind enough to let him slip away long enough to serenade a room full of his biggest fans. 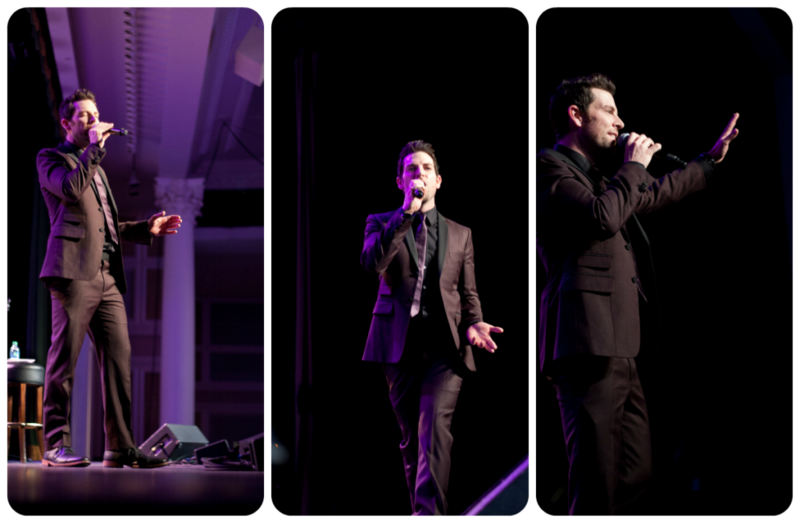 Since finishing The Voice, Chris has been hard at work creating two new albums: “Home for Christmas” and “Roads”. The new album “Roads” (which debuted yesterday) is a unique, beautiful assortment of songs. “Roads”, the single, is a gorgeous song with words that will resonate with anyone who has taken the long way to get to where you are today. You can hear it in the background of this video as Chris talks. He is indeed bringing classy back. When his EP came out several years ago I was sad that “On A Night Like This” wasn’t included, so I was especially glad to see it included on this one! This album really does have a taste of everything: fun songs, sweet melodies, classical refrains, standard classics, and more. You can find “Roads” on iTunes or Amazon right now, and I promise you it’ll stay in your favorites rotation for a while! I’d say these nice things even if I weren’t in his first music video(*snort*) and even if I hadn’t been provided a free copy of his album through the One2One Network.